Pokémon Go players in Russia are being offered free insurance in the event of injury while using the popular app. The country's biggest bank Sberbank is giving clients 50,000 rubles (about $800) worth of cover, Kommersant daily reports. “Given the fact that some countries have reported injuries of players who were catching Pokémon, we have developed a special product that will be free for players,” said the CEO of Sberbank Life Insurance Maksim Chernin. Eight employees in VICE's Toronto office were injured today after walking into each other while trying to catch pokemon. Compensation will depend on the severity of the client’s injury. Insurance cards will be given out for free, according to the media. Pokémon Go users will just have to visit a landing page and fill in the nickname, real name, birthday, location and e-mail. “It is also important for us that the project will improve financial literacy, as the younger generation will be able to learn about insurance instruments while playing the game,” Chernin added. Sberbank says it plans to install special PokeStops modules that will lure Pokémon and players to its offices. The modules are available for in-play transactions for 100 Pokecoins, or $0.99. "These modules will be active throughout the working hours of our branches,” said a Sberbank spokesman. The full list of offices included in the program will be available on Sberbankgo.ru. PokStops near Sberbank branches will be available in 16 cities, Moscow, St. Petersburg, Nizhny Novgorod, Krasnoyarsk, Novosibirsk, Omsk, Yekaterinburg, Chelyabinsk, Perm, Samara, Vladivostok, Rostov-on-Don, Ufa, Volgograd, Voronezh and Kazan. Another Russian bank, VTB, is also promoting the game. Starting on Tuesday until the end of July, clients that take a photo of a Pokémon next to a VTB card will have a chance to win double cash back in August. Pokémon Go is the biggest mobile game the world has ever seen. There are more than 21 million users of the app in the US alone. 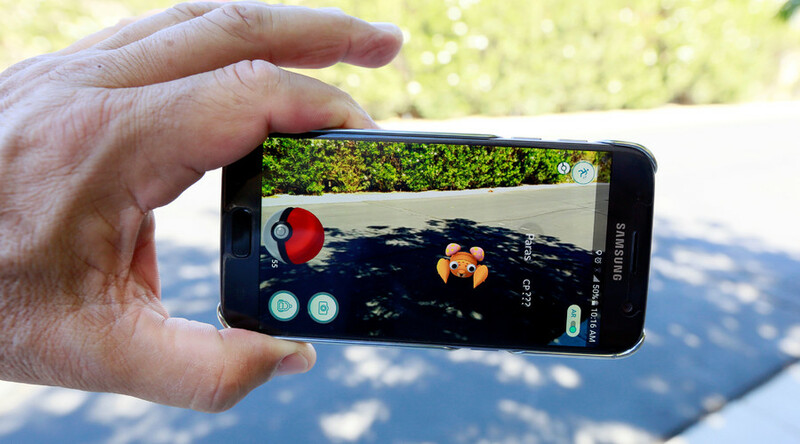 With the user’s geo-location, the game creates an augmented reality in which players catch Pokémon as they navigate the real world.